…Ten still know how to write great songs. The guitar work is much more subdued, with well placed, diverse keyboard passages helping to define and accentuate the melodies on this album more so that on Far Beyond the World or their most recent work in general. Likewise, the solos have a little less flare (although still emotional and well executed), and the riffs are rather calm. This laid back delivery was the source of my initial discontent for this album. After absorbing this album, I quickly realized that Return to Evermore is an excellent collection of mid tempo hard rock and majestic AOR cuts, with the classic Ten sound present from start to finish. Stylistically, this album is very similar to the debut and The Name of the Rose. As I mentioned before, the keyboards have a more prominent role on this album compared their most recent albums. Combined with the less aggressive approach that these songs take, Ten achieves a masterful hard rockish, AOR atmosphere. Diverse keyboard fills, such as the Celtic opening to Evermore really give this album a varied sound that does not get tired. 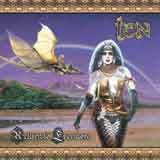 Over the years, Ten has demonstrated an ability to come up with quality ballads, AOR tracks, hard rockers, and even a handful of melodic metal tunes. Although the band has chosen to steer away from their heavier leanings with this album, there is no mistaking the quality songs that are well worth the Ten name. Catchy choruses and sing along melodies dominate the album, making it a very enjoyable hard rock album. Although none of these tracks will induce any head banging, these tracks will not leave your mind very fast after just one listen. The band has done a great job on this album with tempo changes which give some of the songs an epic flavor. Take the opening track, the 8 minute plus Aparaition. A slow intro gives way to a building tempo, some interesting drum and guitar pieces, with a superb melody gluing it all together. Dreamtide follows right behind, clocking in at 7+ minutes. Again, this song harkens back to early Ten with its laid back delivery, central chorus that is repeated throughout, and the melodic vocals of Gary Hughes guiding the song. Sail Away is an emotional power ballad that I actually don't skip when listening to this album; classic Ten all the way. Typically, I'm not much of a fan of ballads at all, but Ten always know how to deliver a winner. Even the Ghosts Cry is a mid tempo hard rocker with, flawlessly accentuated by pompous keyboard textures. This is certainly the most addictive song on the album, also ranking amongst the most catchy songs the band has ever written. Return to Evermore is a solid album, with no "duds" to be found. The album is consistent in terms of quality, and the strategic use of keyboards helps give each song its own identity. Although I would have preferred a bit more energy mixed in, I cannot deny that these are excellent songs at face value.